Good soil is the key to a great garden. This truth leads to mixed success through trial and error. In my case, the soil in my area is heavy clay that clogs the roots of even the hardiest plants. Top watering causes the soil to form a glaze that prevents water from readily sinking in, but, on the plus side–it retains the water once it penetrates. This is a blessing during the summer when Sacramento Valley temperatures are routinely in the triple digits and water is slow to evaporate. I’ve often thought there has to be a better way to improve my gardening results, but besides hours and hours of laborious spading to mix amendments, I didn’t have any ideas about any easy fix until I learned about straw bale gardening and Joel Karsten. 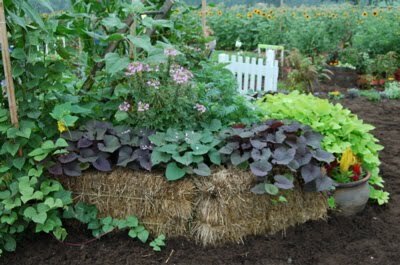 He has just published a 78-page guide to growing a successful Straw Bale Garden that explains in detail the perfect way for anyone to have a garden without weeding, bending over, or using chemicals. 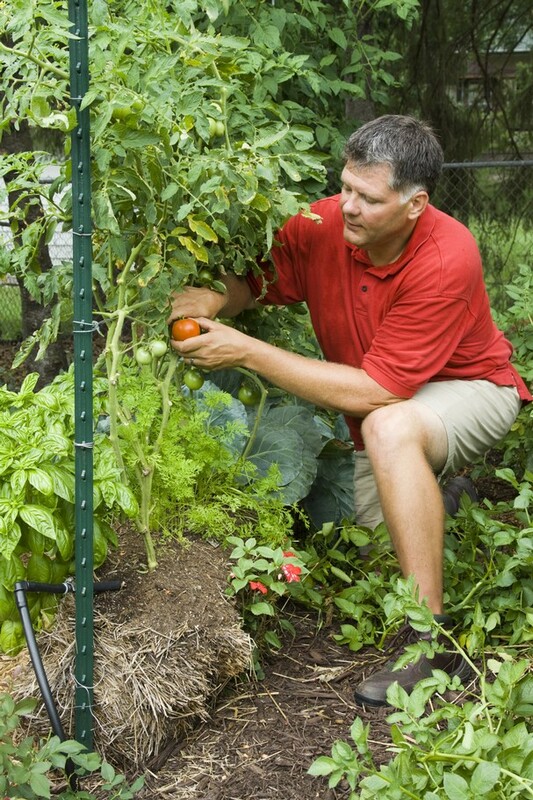 Karsten promises that, if you follow his step-by-step methods and suggestions you will grow a beautiful and productive garden this year, even if you have never gardened before. The best part is that if the soil in your backyard is, like mine, less than productive, it doesn’t matter at all. If you have sunlight and water, you’ll have a great garden this year. From the Arctic Circle to the heat of the desert, people are using this method, and having great success. The booklet is full color and has a perfect bind booklet binding. “I grew up on a crop and dairy farm in Southwestern Minnesota, and started gardening as a kid with my Grandma Josephine,” Karsten says. “She was really my first ‘professor’ of horticulture, but I rounded out my education with a BS in horticulture from the University of Minnesota a few years later. “Farming and caring for livestock is much more than a full time job,” he said. “My dad always joked when I complained, ‘you can take a vacation anytime you want, as long as you’re back in three hours!’ I decided farming wasn’t for me, so I became an entrepreneur starting a business while I was still in college. If you’ve ever thought growing vegetables was difficult, time consuming, and hard on your knees and back, Karsten’s method might change your mind. The method eliminates weeding and bending, making it so much easier. This method is low cost and low maintenance and doesn’t depend on great soil. Small straw bales can range anywhere from $2 to $7 each. Check prices at local feed stores. Also, a soaker hose on a timer makes for easy watering, especially if you’ve got extended summer travel plans. Eventually the straw breaks down, adding a good mulch to the underlying soil.